20% of those who received the most karma receive 65% of all tokens in this cycle. These tokens are divided proportionally to earned karma. Users that are in the next group (21%-50% of the total Karma) divide 20% of the two-week prize. The remaining gamers, who received karma less than half of the average statistical value, divide between themselves 10%. In this case, they will receive tokens with a probability of 50%. New users who just synchronized their achievements that they earned in a lifetime receive 5% of the overall prize with a probability of 100%.Finally, when all is said and done, tokens are sent to gamers’ wallets and can be used appropriately.Important to note, RAWG does not enforce spending the token as fast as possible and will not seize any tokens from the user. When RAWG token is in the hands of the gamer, what can be done with it? RAWG token will be present at exchanges so our users can safely convert their token to fiat or cryptocurrency. But along with it the player will be able to trade token for the physical and digital goods from our partners. The goods may vary based on our partner agreements, but RAWG will be pushing forward to get the best deals for the gamers, including keyboards, headsets, in-game lootboxes, etc. Tokens that gamers use for these goods will be utilized by the platform. RAWG offers advertisers a unique way to connect to their target audience. 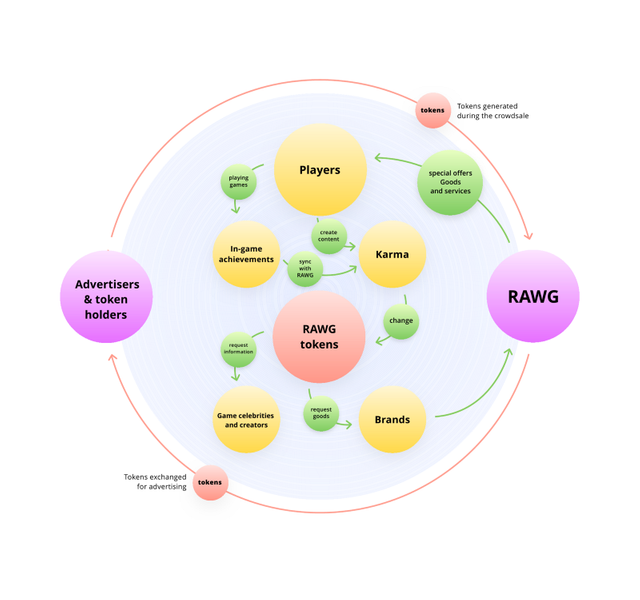 With users supplying data to see the preferences and wishes of the gamer public, advertisers with the help of RAWG can effectively promote their product. The token system for advertisers is simple: the ads that they buy come with 30% discount if bought with tokens. RAWG token is the means for our partners to utilize their own product and find leads. In some cases, RAWG can become a testing ground for our partners’ new products so rawgers can be the first to get some exciting goods. Partners do not receive tokens but are an integral part of the economics. Our product positions itself more as a mediator between participants. 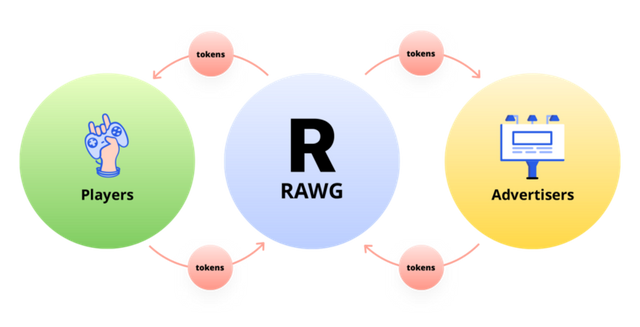 With the blockchain technology RAWG creates an open and equal ecosystem where the user can spend the token on anything offered whether it be ads, partnership offers, exchanges, etc. If anyone is willing to join in, hop on our presale. Besides the aforementioned, RAWG is the first blockchain-based solution to combining gaming platforms which also monetizes gamers’ favorite pastime.Now, when you know all this, you are ready for the full token circulation scheme! RAWG’s presale is already open, join us and be among the first holders of RAWG tokens. If you liked this post, don’t hesitate to clap 50 times. And please read more aboutRAWG’s market and rivals of RAWG token in other WP bits.